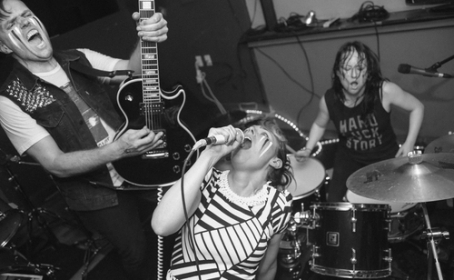 The SF based heavy garage rock band, Happy Fangs will be headlining a show in San Francisco at Bottom of the Hill tomorrow night, September 12th. If you want to whip and bang your head (assuming people still head bang) to a night a heavy garage rock this is the show to attend. Black Map will also be performing some thrashy music that borders on metal. The post punk band, El Terrible will be rounding out the bill. How can you deny a Saturday night of music at Bottom of the Hill? !